There’s nothing quite like slipping into a warm herbal bath after a long day. I realize some people have thing against baths and only take showers but I’m defiantly in the Team Herbal Bath group, especially when we need a little extra self care in our lives. Whenever my kids aren’t feeling well they are told to drink water, wash their face, and either take a nap or a warm herbal bath. I’m a firm believer that if we give ourselves (and others) time to do these things our bodies would be better able to deal with sickness and stress. But I also like to keep some Sleepy Time Bath Tea already made up and ready to go for those times I just don’t want to think. 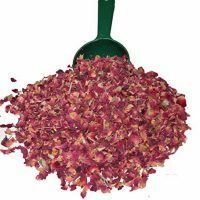 I make the herbal bath tea with Epsom salt, dried chamomile, dried rose petals, and some lavender essential oil. If I had any luck with growing my own lavender I would use the whole herb but since I don’t, I use lavender essential oil. 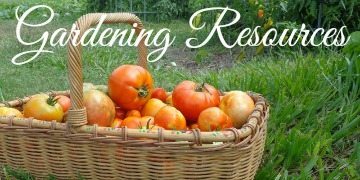 There are so many ways to make herbal bath preparations. 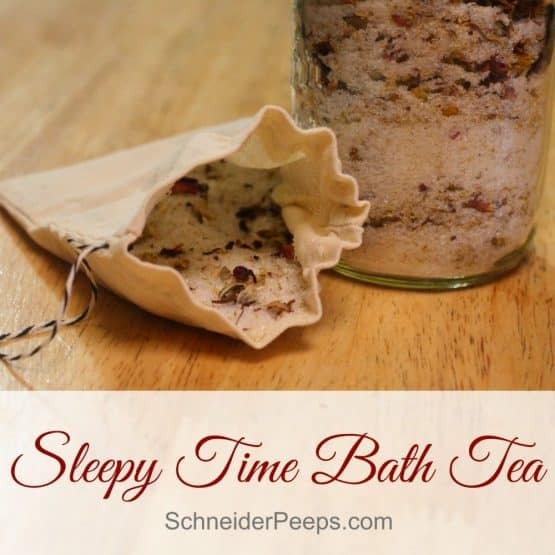 I’m linking to some of my favorite recipes below the printable recipe for Sleepy Time Bath Tea, so scroll down to see those. 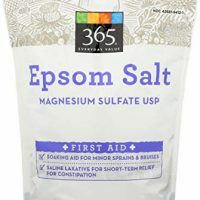 Put about 1/4 cup Epsom salt in a bowl and add lavender essential oil. Mix well. Add rest of Epsom salt, chamomile and rose petals. Mix well. To use: Put about 4 tbsp in a muslin drawstring bag and tie shut. Hang bag from water spout while filling tub with warm water. Enjoy! Love Greens has an herbal bath bomb that uses herbs and not just essential oils in the bath bomb. If you’re new to making bath bombs here are some tips from Rootsy for beginner bath bomb makers. Pink lemonade herbal bath fizzy is another way to get a fizzy bath. 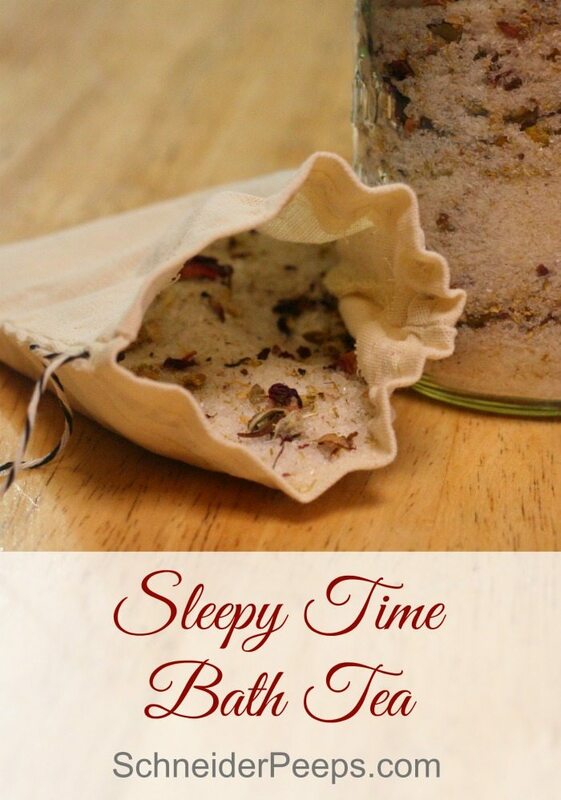 If you feel like you need a little detoxing, Joybilee Farms has a great detoxing fir herbal bath salt recipe for you. Pine can also be used in an herbal bath for stress relief. 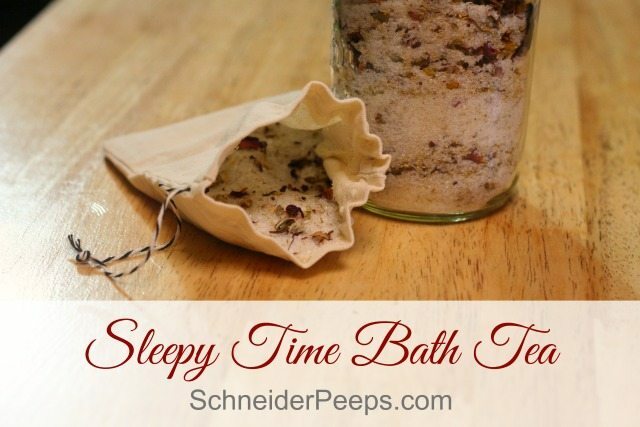 Yearning and Learning has a great pine bath salts recipe. Nitty Gritty Life suggests adding some powdered buttermilk to your herbal bath shows you just how to do that. Milk herbal baths are super soothing. I’ve never made herbal bath melts but it’s on my list of things to try. I really like this simple recipe for calendula bath melts from The Nerdy Farm Wife. Did you know you can use vinegar in an herbal bath? Well, you can. If you have hard water and itchy skin, try adding some chickweed vinegar to your bath. So tell me, what are your favorite herbal or essential oil combinations for the bath? 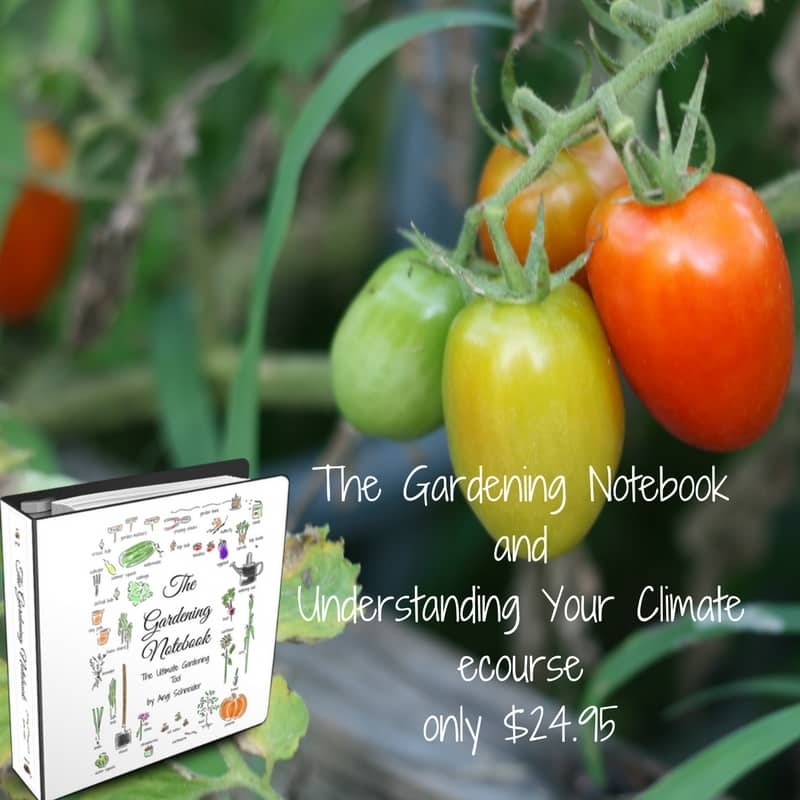 I would love for you to come join us at The Homesteader Hop Blog Hop! Come on over and post up too 3 different articles. I do really hope you will join the party! 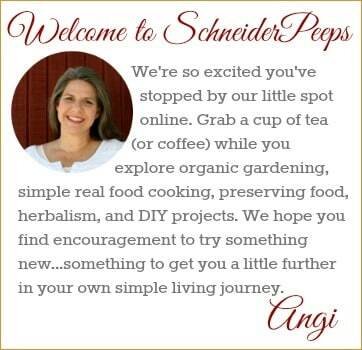 We run the blog hop every Wednesday! If you are also interested in being a co-host of the hop, please let me know. How cool that you were born in Kenya! We have dear friends who grew up there so Kenya is close to our hearts. Thanks for stopping by. This recipe looks delightful! Your link to buy the muslin bags isn’t working for me. Thanks, Jessica. I’ll double check the link. 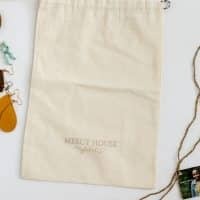 Here’s the shop, http://mercy-house.myshopify.com/collections/bags/products/fair-trade-goody-favor-bags-set-of-6?variant=17531831814. 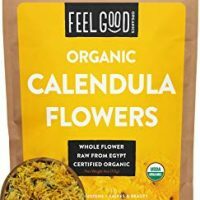 Could I use dried lavender instead of the essential oil? Hi Brandy, absolutely you can use dried lavender.